Big Roast is another company run by the directors of The Water Cooler Company – Hog Roast and Lamb Roast specialist Big Roast has been filling the bellies of satisfied customers in and around London with the finest cuts of meat since 2006. We don’t advertise across the companies but wanted to let customers who find this page know about our hog roast services as we can assure that they are great for staff parties or for birthday events. We provide a fully managed hog roast service with staff who cook, serve and clear up after themselves. We can also provide lamb roasts, canapes and a range of vegetarian options to make the occasion suitable to all. 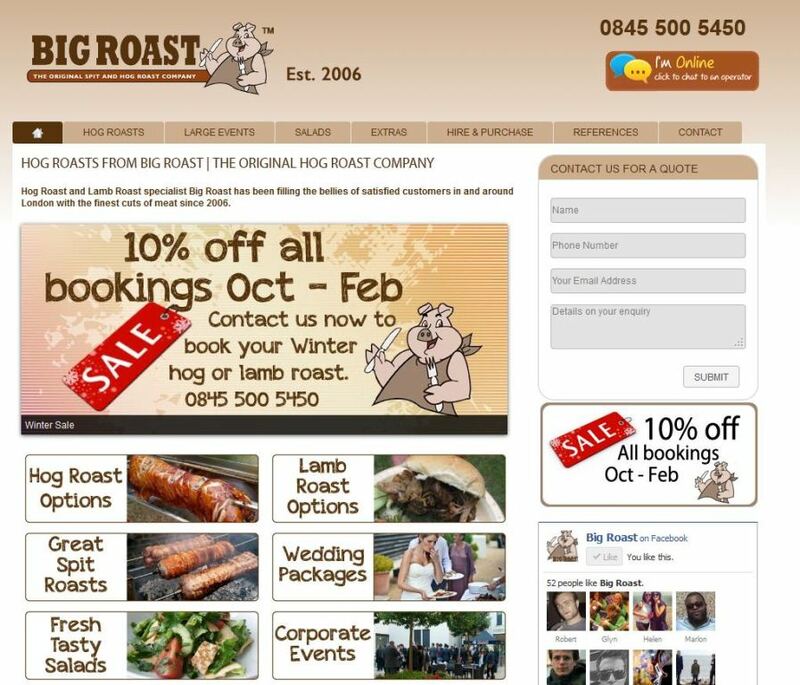 To see the full suite of our services please look at the Big Roast website at www.bigroast.com.